A busy Wednesday, filled with lots of reruns, but a lot of new stuff, too! ABC airs a rerun of DISNEY’S PREP AND LANDING and THE MIDDLE – this is the episode of the Block Party and Brick’s “socially challenged” diagnosis at school. Over on CBS, they have all new episodes of THE NEW ADVENTURES OF OLD CHRISTINE and GARY UNMARRIED. On CHRISTINE, Molly Shannon guest stars as Christine’s neighbor – they meet up at a Christmas block party! On GARY, Gary reaches out to Allison’s boyfriend when he buys a boat for Tom to impress a girl, and they get in over their head. FOX airs the 2 hour finale of SO YOU THINK YOU CAN DANCE. Who is going to win? 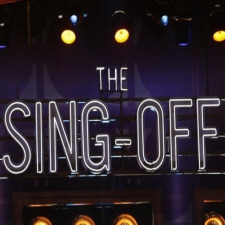 NBC continues the four night special THE SING OFF. Ben Folds is a fantastic judge! The five night marathon of THE VAMPIRE DIARIES continues with episode 5 – Elena starts to realize that Stefan is a vampire! On ABC, there’s reruns of MODERN FAMILY and COUGARTOWN. On MODERN FAMILY, Phil tries to teach the kids a lesson and ends up a bicycle thief! On COUGARTOWN, Bobby and Travis bond, as Jules’ bothers Greyson for a compliment! CBS has an all new episode of CRIMINAL MINDS – an ex con escapes while in the BAU’s custody, and they need to do the unsub thing and figure out where he went. THE SING OFF continues on NBC. 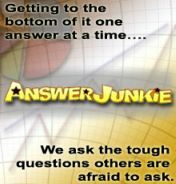 FOX airs hour 2 of SO YOU THINK YOU CAN DANCE. The CW airs episode 6 of THE VAMPIRE DIARIES – the one where Elena hears all about Stefan’s family history. Over on Syfy, there’s an all new episode of GHOST HUNTERS – they investigate the Hindenberg crash site in NJ! On TOP CHEF on Bravo, we have the reunion episode – find out what chef gets the fan favorite award! I’m voting Jennifer! ABC has an all new episode of EASTWICK. It’s a shame that this show has been canceled – I was starting to really like it. Wish it took less time for them to admit they were witches! On tonight’s episode, Roxie hosts a dinner party. CSI: NY is all new on CBS – Train and Kim Kardashian guest star in the episode where a reformed drug addict is murdered. LENO is all new on NBC, but I pretend that doesn’t exist. Check out the next episodes of STEVEN SEAGAL: LAWMAN on A&E. A new episode of LAUNCH MY LINE airs on Bravo. Anyone watching this one? That self-named Dandy is CRAZY! On MTV, you have the reunion episode of REAL WORLD/ROAD RULES CHALLENGE. I can only imagine someone will be yelling obscenities at someone! Syfy has an all new GHOST HUNTERS ACADEMY. Finally, catch an all new episode of NIP/TUCK on FX. Eric Stonestreet guest stars in the 6th season finale as a prisoner that McNamara/Troy needs to remove excess fat from – another ethical dilemma, naturally. Also, Kimber and Christian get life-changing news!